Jyl Waller, executive director of A Shining Star Learning Center in Normal. No, you probably can’t get arrested for lying about someone else on Facebook. If you could, we’d need a lot more jails. But if you lie about something serious—like child abuse—then lie again to police and child-protective services when they come asking about it, then you’ve got a problem. That’s allegedly what happened last week in Bloomington-Normal. 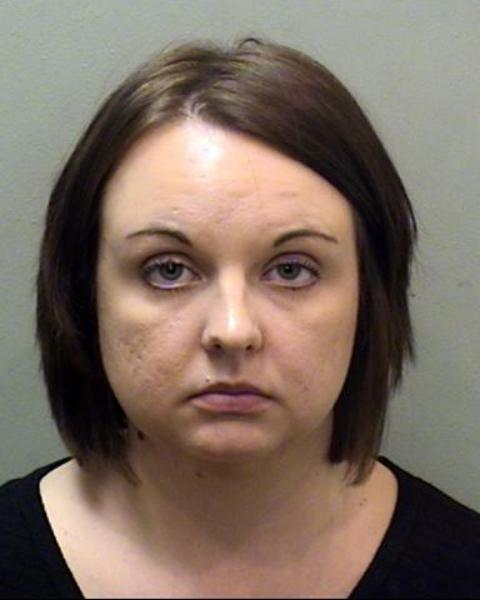 Police arrested Tricia Danyus, 31, of Normal on Sept. 5 and charged her with filing a false report with the Department of Children and Family Services and obstruction of justice. Normal Police say Danyus posted a photo on Facebook alleging that a child was abused by staff at A Shining Star Learning Center in Normal. Police say Danyus knew those allegations were false and repeated them to investigators. While Danyus faces charges, the episode left Shining Star paralyzed. Police asked its staff not to respond publicly until an arrest was made, and they complied. That silence was difficult. Ultimately, seven children were pulled out of the day care, some presumably due to their parents' safety concerns. “It’s been very traumatic for us as a business, and it’s been very frustrating too. We felt in our heart that nothing happened at the center itself. From an outside perspective looking in, it probably looked like we weren’t stating what was going on, but we felt we needed to be cooperative with authorities who were completing an investigation,” said Shining Star executive director Jyl Waller. The Aug. 27 Facebook post spread quickly, garnering more than 500 shares, Waller said. The following Monday, Shining Star fielded several calls from concerned parents and staff. The allegations meant that five Shining Star staff were subjected to close DCFS supervision until the matter was resolved. That happened Sept. 5 with the arrest of Danyus. Normal Police went out of its way to exonerate Shining Star in its press release about Danyus’ arrest, sent to the media on Sept. 6. “A Shining Star Learning Center fully and immediately cooperated with Detectives so this case could be investigated and have been cleared of any wrongdoing,” police said. That was included in part because Shining Star was receiving “harassing-type phone calls” about the allegations, said Normal Police Chief Rick Bleichner. While “it’s certainly not part of our mission” to do damage control for local businesses, it made sense in this case, Bleichner said. Some large companies spend hundreds of thousands of dollars each year on social media monitoring, looking to deflect problems that bubble up during customer-service interactions, said Nate Carpenter, director of convergent media at Illinois State University’s School of Communication. He also directs the school’s Social Media Analytics Command Center. It's important for smaller businesses—lacking the huge social media budget—to cultivate and nurture their own social media communities so that those brand advocates can step in when disaster strikes, Carpenter said. ISU students studying social media are taught not to “feed the trolls” (harsh online critics) and instead let your community step in, he said. Waller’s advice to other small businesses facing reputation threats online? “It’s difficult to hold back and not say what you want to say, but you have to keep it professional,” Waller said. "You just have to be careful what you put out there." An excerpt from GLT's story about Shining Star. GLT's full story about Shining Star. A 31-year-old Normal woman allegedly lied to police about abuse she said her child suffered at a local child care and education center, police said Wednesday. Education Secretary Betsy DeVos said Thursday she plans to end the Obama administration’s rules for investigating allegations of sexual violence on campus.